'I always found his Bach to be scandalously empty of whatever musicality, crammed with fantastic and meaningless inventions. And I'm not mentioning the articulation nor the phrasing' - Harpsichordist Scott Ross on Glenn Gould. 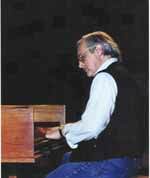 Ross, who gave us the heavenly Scarlatti sonatas that I wrote about recently, was sparing with praise for his peers, although he did acknowledge a debt to Kenneth Gilbert. But there was one harpsichordist Scott Ross admired unreservedly, and amazingly that player has never recorded any baroque music. * Visit Don Angle's web site via this link. A puzzling post, I find. The relevance of Ross's slagging of Gould escapes me. 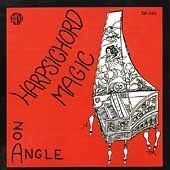 And the audio excerpts reminded me of a 30-year-old LP I have somewhere of Biggs showing considerably more energy and verve in Joplin on the pedal harpsichord. I agree. I dislike Glenn Gould's work a great deal.